Have you been tossing and turning at night instead of getting a peaceful rest? Are you just having immense trouble getting to sleep, and perhaps suffering for it during the day? A lack of adequate sleep can truly affect one’s quality of life, from making them less productive at work to even causing weight gain! 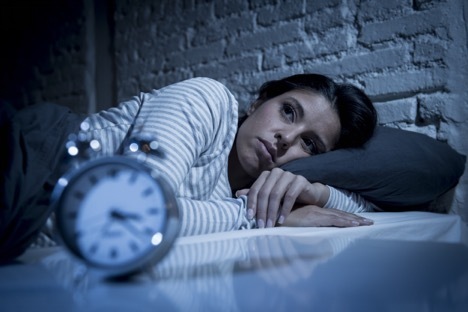 In this article, we will look at some ways in which you can beat a lack of sleep. Follow these simple tips and rest easy. Read on to find out more! Is It Time To Ditch That Mattress? Did you know that one of the leading causes of insomnia is the simple fact that people are sleeping on the wrong types of mattresses? When it comes to purchasing a mattress, it is advised that you spend up to 20 minutes testing different varieties – from firm, medium firm and so on. Everyone has their individual needs, which is why we advise actually going into a store that sells mattresses in Melbourne to test them out for yourself. It may be tempting to purchase a mattress online, but trust when we say your body will thank you for the minor inconvenience of going in-store and testing which type of mattress best suits your body. So many of us are guilty of using our computers in bed, working in bed or even watching television in the bedroom. However, experts all around agree that your bedroom should be used for one thing and one thing only – sleep! If you are someone who works on the computer in bed, your brain may very well associate your bedroom as an office, and have trouble switching off when it is time to hit the hay. Electronics such as iPads and smartphones should also be kept away from the bed if possible as the blue light emitted from devices are disruptive to the brain’s natural sleep mechanism. Furthermore, a buzzing phone is distracting and may keep you up for longer than you’d like. If you’re like most of us, you love a good cup of coffee. It perks you up, keeps you alert and also keeps you awake at night! That’s right…it is no surprise that your morning joe could be causing some disruption in your sleep pattern. It is always advised that you set a caffeine cut off point sometime during the day, and stick to it religiously. Experts suggest avoiding caffeine past 2pm in the afternoon, and this is not just limited to coffee – it includes energy drinks, diet soda pop and any other sources of caffeine that you may be guzzling down to keep you wide-eyed during the day. We know avoiding a late dinner can sometimes be difficult when there just seems to be not enough time in the day to get everything done. However, eating a big meal and heading to bed will most definitely not help you get a good night’s rest. Why? Well, first of all, you may suffer from acid reflux which tends to kick in when you lay down. Anyone who has fallen victim to acid reflux knows how uncomfortable it can be, and say goodbye to sleep when you’re in great discomfort. Avoid drinking too many liquids before bedtime as well, so that you can avoid having to wake up in the middle of the night to visit the bathroom. Pets Are A No No! If you have cats or dogs, it may be tempting to let them snuggle up with you when you go to bed. Whilst this is cute and pretty wholesome, it is in no way beneficial for a healthy sleep pattern. Pets are little balls of energy who do not work on the same cycle of time as we do, and your cat running across the bed in a frenzy at 3am is most definitely not going to help you sleep. As much as it hurts for me to say this, always ensure that pets have their own dedicated areas for sleep – somewhere that isn’t in your bedroom, of course! We hope that this article has given you some useful tips that you can take on board to ensure a better sleep pattern, and in turn, provide you with the energy you need to soldier on with your day!